You're right. I wasn't winning, and neither was anybody else. By my recollection, we all quit out of boredom at the three hour mark because the game wasn't going anywhere. No!!! I was winning... When you guys quit, I had the most money. And for the record... I was perfectly willing to take risks. 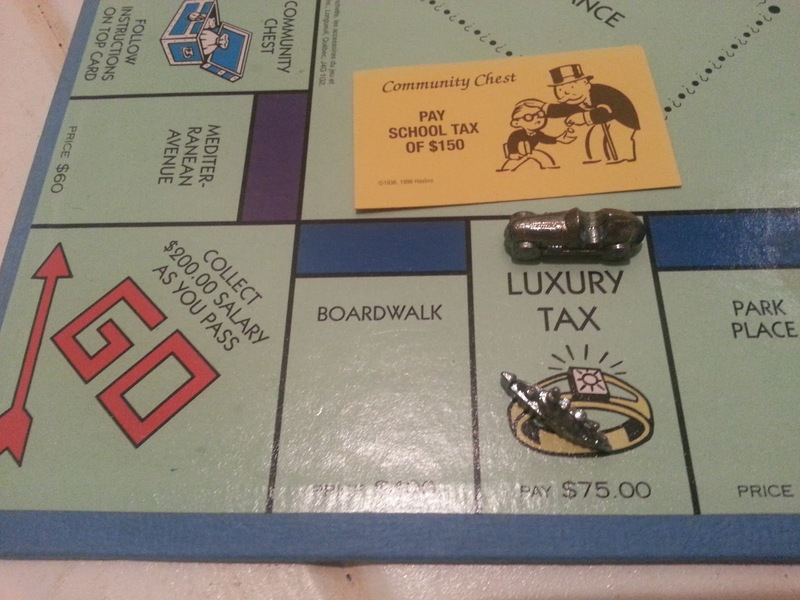 Oh, and by the way, Monopoly ends by someone having more money, and another person having less money. 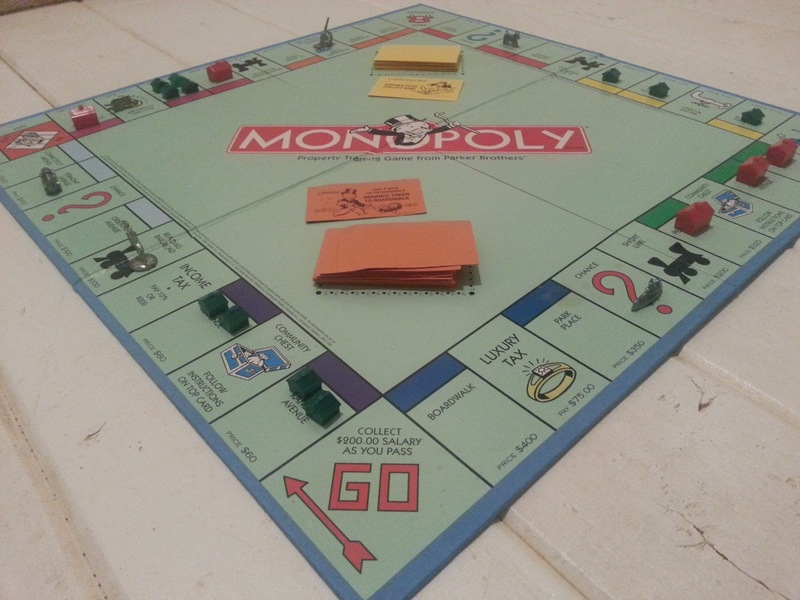 At the end of the game, it is not a "level playing field" for everyone (aka 'spread the wealth' so to speak.). If that isn't a republican train of thought, I don't know what is. So, just give me a yes or no answer, I understand your arguments already. 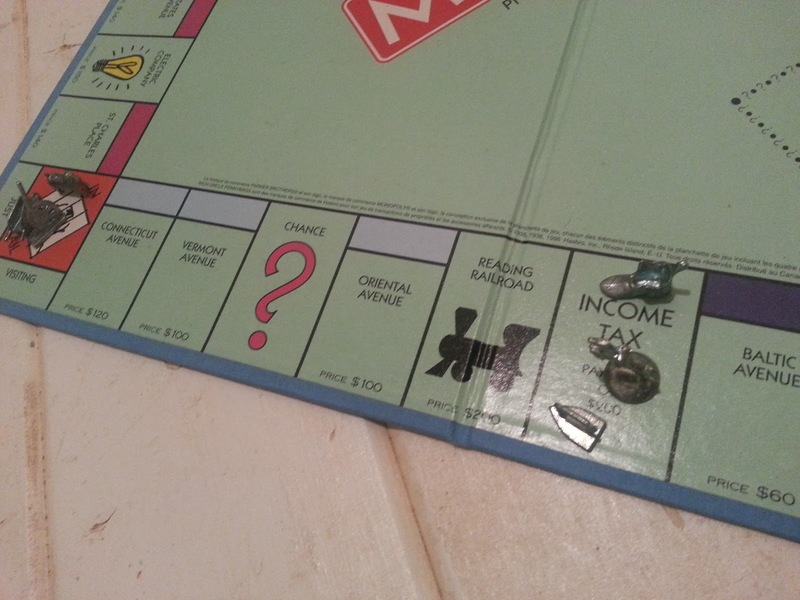 Has anyone turned socialist after playing monopoly? Thanks. 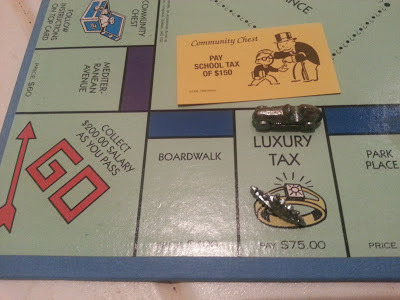 I write these Socialism essays primarily as an exercise in judicial and ceremonial rhetoric, not as a sincere expression of my beliefs on the given topic (unless the subject is federal or state tax credits for Justin Bieber's electric cars, which I perceive as handouts taken from my taxpayer dollars and which I regard as a direct assault on my wallet and those of other citizens). In other words, you shouldn't take my comments on Monopoly or Life that seriously. My purpose is to construct persuasive and logical arguments in favor of a position, as I am required to do in dialectical debate. Anyway, I don't judge people or ideas as socialist based on whether they're effective at recruiting statists. Joe Biden is a socialist, but has anyone joined the Democrat Party because of him? Instead, I look at the messages and ideologies promoted by a certain subject, whether it be a person or a creation, like this board game. Monopoly has probably not converted many capitalists to socialism, but that does not deny the fact that it advances left-wing beliefs. Thanks for taking the time to comment and read my neglected Randian blog.